Super Savings! 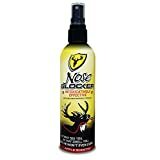 Up to 39% off on Scents & Scent Eliminators at Freedom from Government, Page 2. Top brands include Pure One Outdoors, BioLogic, ScentBlaster, Atsko Sno-Seal, Atsko, Robinson Outdoor Products, Muddy Outdoors, Leg Up Enterprises, Code Blue, Pete Rickard, Do-All Outdoors, Wellington Outdoors, Timbuktu Outdoors, & ScentDefense. Hurry! Limited time offers. Offers valid only while supplies last. ScentBlaster Pro Kit, ScentBlasterWick 6-Pack & Extra ScentContainer. The World's best wicking system, works with any hunting scent, attracts more game to the kill zone! ScentContainer holds a bottle of your favorite hunting scent. Swap or store different cover & attractant scents with interchangeable ScentContainers. Use with ScentBlaster the ultimate wicking system!